❶All the interns are encouraged to work hard, but smart, and to learn about all aspects of the business, which is something that I will be focused on doing over the next seven weeks. If the total running time of your video sample exceeds ten minutes, a link to your work must be provided on the media page. Please test your video prior to submission. If you are submitting a link, please be sure no downloads or passwords are required. The photographs may also be a presentation of work in other media, such as painting, illustration, sculpture, set design, costume design, etc. Still images and scans should be a minimum of 72 dpi. The Dramatic story is a required short narrative writing exercise. Choose one of these subjects: Then write a page short story double-spaced that has a beginning, a middle, and an end. The story should emerge from character, place, and action. It should have some conflict, there should be a particular incident small or large , and the story should move towards a resolution, whether complete or not. Upload as a pdf. Write an interesting conversation between two people that reveals something about the characters. You can give a one sentence description of each character, but please include only essential details. Do not write back story. Write a maximum of two pages in screenwriting format. Describe one concept for a feature-length script, narrative, or documentary that you would like to develop. Write no more than one page, typed, double-spaced. Include one passport-sized photograph of yourself. Please upload this item first when you reach the media page in SlideRoom. Upload copies of your resume and personal statement. Please upload the requested items only. Please do not substitute, vary, or add extraneous or additional pieces. Creative Portfolio materials cannot be edited once uploaded to SlideRoom. This online portal offers instructions for submitting work. For technical assistance, please contact: There are three required components to be submitted in order to successfully complete the application for admission: The Tisch Application should be submitted online on or before December 1st. All required academic documentation, testing, recommendations, and supporting credentials must be included. Earlier submissions are welcome and encouraged. In conclusion, I have really enjoyed my summer internship, so much so that I am considering staying on in the Fall. The Philadelphia Eagles were 1 week away from winning the Super Bowl and on a bye, so there was nothing to distract me from my incessant worrying about how my interviews went. Before going to bed, I did one final check of my emails and. Could this be it? Needless to say, I was a happy man. Fast forward to May 30 th , day 1 of my summer. I was assigned to a Working Capital project for a global life sciences company. On one hand, I was happy to be staffed on a life sciences project. While familiar with the concept of working capital, I knew very little about what a working capital project was for EY. After meeting my team and learning about our project, my trepidation turned into excitement. Thankfully my first impression was correct. My teammates have been more than willing to answer any questions I have had and there were a lot , but most importantly, they have trusted me in front of the client once I proved I was capable. For a summer intern new to consulting, that was a huge confidence boost. So, what did I actually DO this summer? Ironically for a consulting internship, I have only made 10 slides in PowerPoint. I can honestly say that I never expected to be exposed to so much during my summer internship, nor expected that I would learn so much in such a short period of time. I focused most of my recruiting energy in the fall on the pursuit of a consulting internship and was fortunate enough to land my top choice. I pursued consulting because I wanted a role that would consistently challenge me, a role that put me in a near-constant state of learning, and a role where I was a member of a team. My experience this summer provided all of those things. One of the biggest benefits of attending Stern is the network. Each of those perspectives will be important to hear, and will help you decide what internship you want to pursue. Adam is specializing in Strategy, Finance, and Entrepreneurship. As I first began considering an MBA, my professional goals and ambitions were very clear: I wanted to transition into the strategy consulting industry. I wanted to pursue a career in consulting so that I could continue to work with clients to solve their most complex questions, issues, and problems. During my five years there, I worked with financial clients ranging from CEOs to members of HR to manage and solve sophisticated and demanding problems firms face. In doing so, I came to value and embody certain qualities that I believe make the best business leaders: Equally important, I also gained an innate curiosity, a desire and need to learn, and an ability to ask thoughtful questions, listen to and respect others, and understand the complexity of challenges facing businesses. All of these qualities are personified by people working on consulting engagements. I believed that the consulting industry would advance my personal and career development by working with clients to create a lasting business impact, to craft actionable business plans, and to target opportunities for growth. As I listened to corporate presentations and engaged with practitioners at the different firms, I began to have a better understanding of the differences amongst the firms and, if given the choice, the type of client engagements I wanted to work on during the summer. The combination of my past work experience in Fintech at Bloomberg, countless conversations with current students, Stern alumni, and consultants, and classes I was taking allowed me to realize I actually wanted to work at a firm with a significant digital presence. It is hard to believe, but I am, now, over halfway through my summer internship at IBM in the Digital Strategy and iX consulting group. IBM combines traditional strategic analysis with creative ideation to uncover non-linear opportunities and direct opportunities for clients. By designing progressive digital strategies through innovation and data analytics, creating future-shaping experience through design, and putting customer platforms to work, I have been able to learn important skills and add value on client engagements throughout the entire summer internship. I could not have imagined a better summer experience as I have already been able to work on projects such as: This innate drive to change the world around me is all consuming, yet has evolved over time. I have become more sophisticated and tactical in how I hope to enact change in the world. The capital throughout the private and government sector far surpasses that of the social sector. In my Stern application, I spoke of the allocation of capital and how it effects mobility out of poverty, access to healthcare and education, and so many more other causes I am passionate about. The landscape of how players are engaging with the communities they operate in is changing; defining CSR initiatives such that they are integrated into bottom line results is top of mind for a lot of corporations. Balancing altruism and monetization could be viewed as opposing philosophies, but learning how to meld them into a cohesive strategy is why I chose Stern. A social mindset is instilled in you the first week of LAUNCH—former investment bankers, consultants, and marketers rally to determine a sustainable business solution that solves a societal need. This push to think creatively towards not only business issues but world issues is the embodiment of Stern. The products and business models that are emerging are shifting the way businesses, governments and society all come together to uplift every facet of humanity. When I see innovations such as Rent the Runway and Lyft, I see disruptors forcing their industries to move towards sustainable fashion and how to provide gig workers a way to engage in commerce in a way never done before. Stern is a space where ideas come together to create the future world around us. I chose Mastercard for my internship because of my background in payments, the Stern network throughout the firm, and, most importantly, because of their commitment to financial inclusion. They have dedicated resources and expertise on focusing on how to bring the poorest people around the world into the economy through payment systems, blockchain solutions, healthcare innovations, and startup capital. Few for-profit organizations have integrated social considerations in to their strategy so intricately. For Mastercard, doing well by doing good is more than a tagline, it is literally a way of life for small or micro merchants and entrepreneurs who historically had challenges accessing capital and engaging in commerce; you cannot capitalize on the internet of everything if the financial system does not include everyone. Mastercard is among the leading firms to merge altruism within their business model. I am grateful I get to intern for a company that is continuing to innovate in a way that this former Girl Scout can get behind. The leadership of Mastercard believes doing well by doing good is the future of business—and it is. I tuck my heels into the front pocket of my suitcase and slip on my comfy flats for travel. With my Amtrak app pulled up on my phone in one hand and my Metrocard ready to go in the other, I take one quick look around the apartment before closing the door behind me. PwC is a multinational professional services firm that offers its clients a broad range of assurance, tax, and advisory services. Within Advisory, there are five major industries: We usually sneak in a team dinner or two and leave the other evenings open for working out, relaxing, or catching up on non-client work. Consulting is a challenging yet incredibly rewarding lifestyle. Sure, you learn all of the theories and principles about Finance, or Marketing, or any other subject. But what does it actually look like in the real world? This past semester, I had the opportunity to take many of the principles that are taught at Stern and apply it to a real world setting as part of the Leadership Development Program LDP. One of the main reasons why I chose to pursue my MBA and specifically go to Stern was to have the opportunity to focus on learning principles of leadership which I will be able to apply to my future career. Naturally, I applied to be a part of LDP to make that a reality. The first major programming for LDP was a crisis simulation, which put groups of students in a potential real-life scenario. In this scenario, we were given a real company, and each student would assume the role of a different executive. Over the course of the next 3 or 4 hours, the phone in the war room would ring and we would learn new information or be connected with new people, such as an ambassador to a foreign country, police chief, or news reporter. We were tasked to respond to everything coming in and communicate out our plan. But in our war room, we were the company executives, and this was a real crisis that we were facing. The most important key to making this activity a success was the buy-in by everybody. This is why I have enjoyed my experience with LDP so far. Everyone in the program is committed to learning more about themselves and becoming a better leader. The school gives you ample opportunity to know how everything does work in the real world. Whether it is the crisis simulation, experiential learning, guest speakers, or even the impressive resumes of our own professors, we are constantly exposed to learning about real applications of the many principles that are taught in the classroom. I know that these experiences will better prepare me to be a member of the Stern community, my internship this summer, and my career and life after Stern. While we all come to business school to hone our analytical or quantitative skills, build upon the experiences we had while working or switch careers, another reason we come back to school is to learn from others. At Stern, I have had the opportunity and pleasure of taking classes taught by the most well-known professors in their respective fields: I have also learned what it means to be an adult, what it means to live life and what it means to succeed in the real world. As Sternies, we want to succeed in our personal and professional lives. We want to become CEOs of Fortune companies. We want to be the next big leaders, following in the footsteps of the greatest. But, how did they get there? I truly enjoyed attending every Charlie Murphy lecture last semester, especially because it taught me exactly what investment bankers do, something I did not understand before. My favorite Charlie Murphy lecture was our final class and the end to his last fall semester. It was unforgettable, and my friend and I left the classroom still talking about how we can apply these life lessons in our careers. I impart on you the wisdom that I have learned from Charlie Murphy: At Stern, you are constantly learning how to improve yourself personally and professionally. With exciting projects, exciting class topics and truly inspirational professors, the opportunities to grow yourself at Stern are endless. I chose Stern partly for the obvious reasons. It is a top MBA program that is well-respected and has a robust alumni base in my industry of focus. More, my wife and I relished the opportunity to move to New York and have a new adventure after calling Boston home for 8 years. However, it was the people I met during my interview on campus that really sold me on attending Stern. I vividly remember walking into KMC through the Bobst entrance and being warmly greeted by the security guard. After he let me in and wished me luck, I ran into multiple Sternies on my way to the admissions office all of whom went out of their way to welcome me to Stern, give me advice and wish me luck. From that moment, I knew Stern was the place for me. Fast forward to August. I was excited to begin my MBA journey and to meet my classmates, yet nervous about how I would get along with everyone and how I would fit in. About 10 minutes on campus, those nerves were replaced by a feeling of comfort and belonging. The feeling I had was the same as I experienced during the day of my interview. Instead of days filled with team building events, workshops, and happy hours I now had class, recruiting events…and happy hours. Moreover, recruiting begins in earnest. Particularly for those of us recruiting in the fall, first semester is daunting. The best part about it is everyone is going through a similar experience and that shared…misery? Before I knew it, the first semester was over and it was onto winter break. Returning to campus at the end of January January and interview season can be a post all on its own is a special experience. Seeing your friends after a month, hearing about their travels and interviews and time off over a beer or two is GREAT. Also, second semester is less structured than the first so I had the opportunity to craft my own schedule, get involved with different activities and meet more people than the fall. Hopefully I have been able to convey that I have truly loved every moment of my Stern experience… even the recruiting and finals. The academic programs are top notch, the faculty and staff are the best around, and you cannot beat the location. However, it is the students that truly separate Stern from its peers. My initial intuition served me well, and if I had to make the decision all over again it is safe to say I would make the same one again. Over the winter break, I had the opportunity to explore three different countries: Colombia, Costa Rica, and Scotland. Although packing for three different climates was a challenge imagine boots, flip flops, sunglasses and thermals in one checked bag I would not trade the experiences I gained from each trip for anything. My break began with me meeting up with classmates in Colombia. I always knew that the most valuable part of business school was the relationships you built but this trip solidified that fact. We spent a week laughing together, partying together, and crying tears of pure joy as we watched our friend marry his best friend. The trip was amazing and it made me realize how I lucky I was to find such a strong community Stern. We had the opportunity to learn more about the rice and coffee industries through case studies and site visits. We also learned more about the tourism industry and the tough questions that come along with it. Overall, the trip was a great learning experience and a fun way to build new relationships with classmates outside of my social circle. My last trip was to the Outer Hebrides in Scotland. I went there for a Stern Signature Project, which is a program that pairs students with companies or organizations to help solve a problem. The company my team was assigned to work with was the Carloway Mill, one of the last three mills that produces Harris Tweed. My team was able to explore the island to see where the inspiration for the designs came from while interviewing key stakeholders. The town we stayed in had a population of , so it was completely different from our NYC experience. It was nice to be able to immerse ourselves in the culture so that we could have a better understanding of the mindset of the weavers and producers. The knowledge we took away from the trip was much more than we could have ever gained from a case study. We left excited about the relationships we had built and the ideas we had generated. My classmates and I returned to classes and the halls were full of students exchanging stories about their Winter travels. Although I feel like I accomplished a lot during my day winter break, my journey pales in comparison to the journeys of my classmates. Stern Transition Growing up, I did not imagine I would one day be working in a bank. My journey has taken me from a budding entrepreneur in Silicon Valley, a venture capitalist for the Singapore government and a CEO of a wireless speaker business to becoming a student of finance at Stern and in Wall Street. 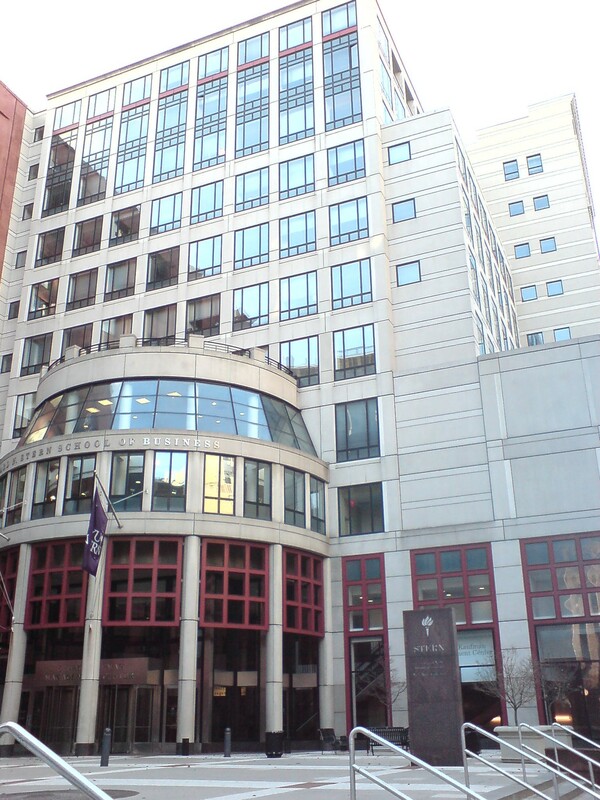 With its reputed strength in finance and location in the heart of New York City, Stern provided the perfect opportunity to make this transition. Connecting these dots in my career led to my summer in investment banking with Macquarie being an ideal platform for continued development. Choosing Macquarie One of the first considerations when recruiting for investment banking is to understand the nuances of each firm, and where your fit lies. Macquarie not only provided transaction advice and debt financing, but could also use its balance sheet to make equity investments in companies. Macquarie thus offered the best of both worlds and slightly more. The stability and resources of a bulge bracket bank, the work experience of a boutique through leaner deal teams and the ability to forge unique relationships with clients and sponsors. The second is to determine what you want from your summer experience. The leaner teams at Macquarie provided the hands-on experiences I was looking for. Being able to work directly with Managing Directors, build models and interact with clients were big draws for me. Having gotten along well with the bankers from the firm and demonstrated technical competency for the job, I was offered a summer associate role in the Financial Institutions Group FIG. The managing director of the fintech team was from Stern, and I looked forward to working with him. Macquarie Experience Walking past the revolving doors for the first time, tales of endless summer work and play from predecessors set the foundation on which expectation was built. My peers comprised of former investment managers, bankers, models, and engineers, yet everyone started on a level playing field during the first week of training. Staffers typically Vice Presidents in charge of assigning projects and managing work flow within a group protected our time for such events that not only provided reprieve from work but also an opportunity to deepen relationships with colleagues outside the work environment. Playing soccer with colleagues before dipping into the pool on a hot summer day was a personal highlight. The workspace was aptly called the bullpen, the arena where everyone sat, from analysts to managing directors. Observing first-hand how a managing director operates and manages clients daily was already a key learning point for me. My day-to-day responsibilities throughout the internship would evolve from due diligence and industry research to managing analysts, building financial models, and co-leading a cross-border buy-side deal. The buy-side transaction offered the deal experience I had so desired, as I was involved in a critical stage of the deal and worked directly with a managing director. Another project with the PTG team was a welcomed bonus and it provided additional exposure across groups. Take-aways Walking past the revolving doors for the last time, it was comforting to know my contributions were appreciated and recognized by my team. Our buy-side progressing to the final phase made all the hard work pay off. Make no mistake about it, investment banking is a demanding job, the people we work with and the contacts we can call on make all the difference. I am therefore very thankful for the support provided by the Stern banking community in my group, firm, cohort, and across Wall Street, that has helped define my recruiting process and summer experience. In the same way, I hope to pay it forward. This summer, I was an intern at Colgate-Palmolive, a global household and consumer products company that is headquartered in New York City. The NYC location was one of my main attractions to the company. Having lived in NYC for the past 9 years, this city has become my home. Therefore, an internship in the city was important to me. I got to know Colgate-Palmolive through corporate presentations, company visits, and conversations with several employees at the company. Most important, throughout the entire recruiting process with the company, I was convinced that it was the right fit for me. Therefore, I relished the opportunity to work at Colgate-Palmolive for the summer. This summer, I worked specifically in Colgate Oral Pharmaceuticals North America COP , a subsidiary of Colgate-Palmolive whose mission is to drive active brand recommendations to grow consumer sales and drive sales for prescription and over-the-counter products, as well as in-office products. In this exciting mission for COP, I learned how to develop strategic plans that will help to drive the fluoride category and increase penetration in dental offices. I also learned how to put in place tactical initiatives that will help drive sales and prescription. My main summer project was to ideate, develop, and implement the 5Ps strategy for PreviDent varnish in the US. Working with various cross-functional teams, I was tasked with developing a more comprehensive pricing scheme for our offerings and creating strategies for product innovation cross-category promotions to drive sales, specifically within pediatric offices. I also worked on developing new communication to be more appealing and relevant to pediatric patients. Finally, I created strategies to expand our distribution within and beyond dental offices. I applied lessons from my MBA coursework to successfully execute my summer project. Classes that helped me prepare for my summer internship included Marketing, Strategy, Brand Strategy, and Marketing Planning and Strategy. Though this class list is not exhaustive, these classes helped me develop the critical and analytical skills and the overall confidence needed to be successful in my summer internship. They helped me frame issues and tasks within the context of the larger goals of the department and company, which helped to maintain a certain level of focus when developing strategies. Mock Madness is a week-long intensive interview prep series where students drill each other on interview questions and offer open and honest feedback on areas of improvement. The knowledge and skills I developed in Mock Madness enabled me to quickly understand what was required of me to be successful within the internship. As I reflect upon the summer, I am happy to say that my internship experience was a successful one. My experience exceeded my expectations and I am happy to have interned at Colgate-Palmolive. I was also adequately prepared for the internship, thanks to my Stern coursework and GMA. I vividly remember him discussing the notion that doing well and doing good were not mutually exclusive and that Stern empowers its students to create value in business and society after graduation. It was with those words in mind that I was able to develop a recruiting philosophy to help guide my journey during the Fall of Sometime in November, I took stock of my recruiting strategy. I was interested in the consulting and technology industries and had my eye on a few rotational management programs. While I never felt unsure of my chosen recruiting tracks, I wanted to evaluate my options and decide what companies to focus on most. I wanted to work at a company where I could do interesting work and have the opportunity to make a difference in society. After that revelation, Mastercard quickly became my top choice. I saw the company as a place where I could learn about payments, be innovative, and work in a dynamic industry. Furthermore, Mastercard has a large focus on global financial inclusion. Having served in the U. Army, I wondered whether my career after business school would have a higher purpose and serve a cause greater than myself. Currently I am interning in an account management division that services customers i. My project is to examine ways to make account management more efficient and improve the overall customer experience. Far from busywork, my project was created out of an observed need for strategic analysis to be put towards a real problem. Empowered with executive buy-in, I know my efforts are valued and matter. We face off against companies in the surrounding Westchester area and through soccer I have been able to meet many new Mastercard employees and learn about what they do. Created by the CFO, the Management Associates Program exposes participants to different business units during three six-month rotations. As Mastercard has many global offices, one rotation is at an international office such as Dubai, London, or Singapore, to name a few locations. Mastercard is full of intelligent people and exciting opportunities to create business value and to assist financially excluded segments of society. I have learned more about myself in the last year or so than I have in any other year of my life. A large part of these lessons has come from applying to and doing my internship in consulting. It all started with my dissatisfaction in my prior career in medicine. After I gathered the courage to switch careers, despite having a great opportunity in my old career, I was somewhat lost. I had devoted over 10 years of my life to learning and practicing medicine, and this was the first time I had even considered doing something else. This path allowed me to have an impactful career while being exposed to and learning about different aspects of business, something that I felt a career in industry could not give me. Better men than me have written about the process of getting an internship in consulting at Stern, so I will save you the details. I will only say that it is a long and arduous process that starts early in your first semester and ends well after first semester is long gone. Even though the process was demanding or perhaps because of it , it was extremely rewarding to see my efforts pay off when I was offered a position at QuintilesIMS doing healthcare consulting. The 7 weeks I have spent there have taught me many lessons. The second is that you should see your internship as another huge learning experience. Ultimately, your internship is where you get to try out a career for 10 weeks, so you better make sure you put it to the test. After all the self-reflection you did prior to the MBA, you owe it to yourself. If you want to know more about any of it e. What are the best places to go running in the city? What are the 7 things you should do before you switch careers? I came from a non-traditional professional background, with a few years of government work experience and several years working internationally at startups. This brings me to the two big questions I want to tackle. First, back to my pre-MBA days: What even is management consulting? And secondly, how did I make that pivot to end up at Accenture this summer? The way I see it, management consulting is all about helping clients uncover and address their most critical business needs. It always starts with a problem. Maybe a client is losing market share to a new competitor in the industry. Perhaps a firm is looking to replace an older technology system with a better product. Whatever the case may be, clients hire management consultants to help them think through the problem, structure an approach, and develop a solution to achieve meaningful, quantifiable results. Now to bring the high-level into some day-to-day takeaways for incoming MBA students considering entering this industry. For starters, you have to love working with people. From client-side meetings to late-night project team work sessions, consulting is an incredibly interactive field. If you thrive in that type of fast-paced, collaborative environment like I do, consulting might be a great fit. Next, you should be comfortable digesting large amounts of information and developing organized, synthesized output, usually in the form of a spreadsheet or a slide. You have to prioritize the information, and learn to make decisions without having all of the data you may want. Lastly, from a practical standpoint, you have to be OK with what can at times be a demanding schedule. That said, those demands can be incredibly rewarding in terms of both personal and professional development. Now for my second big question: How did I make the pivot and end up at Accenture? It was a mix of leveraging the many great people and resources at Stern, and putting in a lot of hard work. From a resources standpoint at Stern I think of three big buckets. They provide a series of skills workshops through the IGNITE program, and they host companies on-campus for corporate presentations where you learn about a firm and network with consultants. MCA partners with consulting firms to host additional networking opportunities and workshops, with events such as lunch-and-learns and a weekly casing boot camp. The third bucket is yourself and your peers. Stern provides a clear starting point for how to pursue management consulting, but you must combine them with your own efforts to position yourself for success. For me, that meant spending many-a-Saturday afternoons practicing consulting cases with friends, as well as working independently on specific skills I needed to improve. I always thought I wanted to work in pharmaceutical marketing. I wrote my admissions essay to NYU Stern about securing an internship at a major healthcare company. I was laser focused on one goal, and then fall recruiting began. Prior to Stern, I was an account manager at an international public relations firm, handling pharmaceutical and medical device accounts. I loved everything about my job, especially when I had the opportunity to work across other agencies to develop a well-rounded marketing campaign for our clients. I discovered my passion for uncovering insights and the fun of building marketing strategies to bring products to life. I knew healthcare marketing was for me and so I pursued an MBA with the intention of going into pharmaceutical brand management. When fall recruiting began, I was exposed to the wide range of career opportunities NYU Stern unlocks for you. Beyond traditional healthcare opportunities, I sat in corporate presentations for fragrance companies, food and beverage, luxury and consumer packaged goods. In particular, I met with the CPG teams at large healthcare companies and saw how they bring over-the-counter products to market with creativity and reach far beyond the possibilities available in pharma. My healthcare background, aligned with my love of marketing and creative thinking led me to lean into CPG recruiting. I have been tasked with real business problems and will be expected to deliver strategic solutions that will be implemented across the brand. I never thought my MBA experience would take me to building a digital strategy for mouthwash, but I am glad it did. She is specializing in Finance, Strategy, and Global Business. My first three weeks interning at Loop Capital Markets have been great. My typical day starts at 7: Listening in on these calls has been an amazing learning opportunity and helps me to better understand the conversations I overhear the sales teams having with investors throughout the day. On the ECM desk, my responsibilities include creating client materials and case studies on recent equity offerings, updating market data, as well as drafting selling points for equity issues that are about to launch. My team also has weekly calls with coverage investment bankers and research analysts to better understand how we can all work together to win new business and specifically, how the ECM team can position itself to pitch a company on upcoming equity offerings. I have been assisting the team with live private placements and buy side engagements. Getting up to speed on the biotechnology industry with absolutely no science background has been a bit challenging. However, knowing that these companies are developing treatments for life-threatening diseases has been motivating because I know that helping raise capital will positively impact lives in the future. One of things I enjoy the most about working at Loop is the culture and the people. My experience at Loop has been unlike the horror stories I have heard about investment banking in the past. The people are very friendly and willing to answer any questions that I have. All the interns are encouraged to work hard, but smart, and to learn about all aspects of the business, which is something that I will be focused on doing over the next seven weeks. My plan is to shadow some traders and to learn more about the public finance arm of Loop. It is such a beautiful location and I typically try to take a minute break to walk by the water! Overall, I am happy with my decision to join Loop this summer in their New York office. The Toigo Foundation helps MBA students of diverse backgrounds break into the finance industry and then works with them to accelerate and develop their careers. The gala has been one of the highlights of my summer so far and I look forward to more amazing experiences this summer. In the past, I usually spent my summers on-board a destroyer overseas. This summer, I am working as a Summer Consultant in L. To research, I leveraged current and alumni networks, in particular the Vets Clubs, and was intrigued by strategy consulting. The opportunity to have high-level impact on businesses within ambiguous, dynamic, team-based environments sounded similar to the situations I faced in the Navy. After starting school I needed to figure out what consulting really was, if I still wanted to pursue it, and ultimately how to land an internship. Having limited experience with consulting and the case interview, I leveraged four resources at Stern to get up to speed. The first was the coursework, which gave me a foundational understanding of business. In particular, this spring I experienced consulting hands-on through the Stern Consulting Corps, an experiential learning course, through which I worked on a five year growth strategy for a global luxury scotch brand. With the weekly Casing Bootcamps, weekly meetings with my MBA2 MCA mentor, and casing workshops taught by experienced consulting professionals, I gained confidence in my casing skills. Third, with the support of the Stern community, both current students and alumni, I practiced and tailored my casing skills over the first semester of school. Finally, the formal events set up by the Office of Career Development OCD , from programs like IGNITE to the corporate events with consulting firms, I gained an understanding of the different types of consulting firms out there and which ones fit me best. Leveraging these resources, I was offered an internship this summer with L. Daily, I find myself learning from, and challenged by, my team and the leaders at the firm to continue expanding my business understanding. My initial research of consulting has also proven to be true, both in terms of the opportunities to create real impact and in the length of some work days. The past year has brought about many firsts for me — starting business school and now beginning a week summer internship with American Express. As a prospective student, I was always curious to learn about the summer between year one and year two. How do students secure internships? How do they know what they are interested in? What skills are required of MBA interns? I hope this post helps you to start thinking through some of these questions. Prior to business school, I worked in strategy and operations consulting at Deloitte and later at an enterprise technology startup, where I led their Customer Success department. I knew that I wanted an MBA to round out my foundational business skills and pivot into corporate strategy or internal consulting. I was open to pursuing these roles in a variety of industries because the most important thing to me was the function. Accordingly, I cast a wide net in my initial search. I found that the best way to explore different companies and careers was to meet with people, so I took a two-pronged approach. First, I made a list of people in my personal network who were currently employed by companies I was interested in. Second, I made sure to attend each on-campus event held by that company, whether it was a corporate presentation, coffee chat, or other event. Preparing for MBA interviews was an intense and time-consuming—but ultimately rewarding—process. The biggest difference for me between interviewing for an MBA internship versus my previous jobs was the level of technical and company-specific knowledge you were expected to have in order to stand out. For example, how does the company make money? How is the industry currently being disrupted and how is the company responding to that? After interviewing with a number of companies for strategy roles, I was thrilled to receive an offer from American Express to join their internal consulting team for a summer internship. Kyle hails from outside Boston and was a research engineer for Reactive Innovations, a small chemical engineering research and development firm where he performed electrochemistry research for NASA, the National Institutes of Health, and the Department of Defense. Thanks for joining me, Kyle! As someone interested in healthcare, what was attractive to you about Stern? It was two large factors. First, I wanted to build a strong foundation in finance, and Stern obviously has a strong finance curriculum. I came to school wanting to learn the right way to develop business, and to do that I think understanding how your decisions flow through your financial statements is critical. Even though I was interested more in strategy and operations than in corporate finance, I felt that having these strong finance skills would give me an edge when recruiting at pharmaceutical, medical device, and biotech companies. Second, when it comes to MBA recruiting, healthcare is a newer industry than consulting or investment banking. Since the opportunities available to students in the healthcare and pharmaceutical industries are not necessarily acquired through on-campus recruiting, I wanted to be in a city that had as many recruiting opportunities as possible. So you can find opportunities, on-campus and throughout the city, and I thought if I could have two bites at the apple, I would have a better shot at getting my dream job. Can you elaborate on the sort of interactions that you and others at Stern have had with these companies? MBA healthcare recruiting is pretty new, but I think the pharmaceutical companies are actually really involved, so we have a lot of them visiting us here on campus. I say that medical device and biotech are a little between both in that you have some large cap companies that are able to compete with pharmaceutical companies, and then you have some smaller ones where you have to do a little bit more legwork because their ROI from recruiting on campus for maybe one position is just not worth it for them. And the Office of Career Development OCD is awesome in alerting you to these opportunities and keeping that information in their databases so that you can reach out to them, but you have to do the outreach so that you get on their radar. Care to comment on that, Kyle? Everyone at Stern is as involved as I am. Spoken like a true Graduate Ambassador. Back to healthcare, what was the recruiting process like for you? I applied to 12 different firms—six on campus, six off. You can find plenty of good opportunities in strategy and operations, business development at Stern too. SHA can be a really good resource for students. So if someone is interested in a position, we have several people to reach out to. Another awesome thing we do is our healthcare conference. Every year we have companies coming from all over to network at our conference. Switching gears a little, what sort of classes are available for students interested in healthcare? We offer five electives in healthcare. Financial Analysis in Healthcare. Pharmaceutical marketing and innovation are highly linked. Those are just Stern classes. For example, there are ACA policy courses you can take at the law school. Lastly, Wagner [School of Public Service and Policy] has a very good healthcare program, and we partner with the Wagner healthcare network often. Their dean is one of the chief architects of the ACA as well, and she set the curriculum for the healthcare management courses they offer. There you have it, from the resident expert on healthcare himself. Thanks so much, Kyle! Sternspective is a series of interviews with Sternies about the diverse paths they are taking in the classroom and beyond. Check out our previous posts about Stern Signature Projects and Marketing. My experience was nothing short of amazing although I am still recovering almost two weeks later. We started the trek by flying into Johannesburg and then traveling to Kruger National Park the next day. There we spent the next two days traveling in open vehicles through the safari, getting up close to elephants, zebras, and a few rhinos. We ended the Trek by spending four days in Cape Town, one of the most beautiful places I have ever been. Below are four reasons I think everyone should participate in a trek their first year. You spend the first semester taking classes, grabbing drinks, and working on group assignments in that order with people from your block. Treks are the perfect opportunity for you to mingle with people outside of your block. In addition to meeting other full time students, you also have the opportunity to mingle with Langone students. I met a lot of new people and we have already have a happy hour scheduled for our first mini reunion. Planning an international trip is stressful. Signing up for a trek is simple and convenient. After signing up for the trek through a lottery process, I only had to do two things to prepare for the trip: Make a vaccination appointment and pack my suitcase. Step Outside Your Comfort Zone. There are people who plan vacations around hiking destinations and then there are people, like me, who plan their vacations around food and wine. The trek planners catered to both groups of people by making sure the agenda included activities that were a good mixture of adventure and recreation. For example, I never would have made time for a Safari if I planned the trip myself but it ended up being one of my favorite experiences. Since a lot of students go on a trek during Spring Break, every conversation for the next two weeks will be about treks after your return. You only get the Stern experience once. Take advantage of the many opportunities that will come your way. As someone who is taking a non-traditional path with recruiting, a network is very important to me. Are they career changers like myself? Are they willing to take the time to speak with me as I search for my summer and full-time opportunities? While in school, you develop relationships with your classmates future alumni. A LinkedIn message or an email also goes a long way with Stern alumni. The Stern alumni not only speak with you, they connect you to others in their own personal network — Stern alumni from their year in business school or even contacts at the company you are interested in. That means your Stern network is endless. As a humanities major, finance as an MBA student has always been a necessary evil. From introducing the concept of peer-to-peer lending and crowdfunding, to the simple move to online and mobile banking, this was a space that is growing at tremendous speeds. Stern is probably most known for its financial prowess. We have some of the most lauded professors in the industry Damodaran, Silber and Murphy to name a few , and our unique location in NYC places us only a couple subway stops from Wall Street. Therefore, it only made sense that administration took notice and understood the importance of this growing industry. This past school year, NYU Stern became the first top business school to offer a specialization in fintech. The value of a MBA degree in the fintech space has always been highly valued, as some of the biggest fintech giants such as SoFi, Commonbond, and Earnest were all co-founded by MBA graduates. However, until recently, MBA students were not provided to the academic and career support to keep up with the industry. As part of the specialization, Stern has introduced eight new courses dedicated to fintech which ranges from understanding blockchains and digital currencies to personal finance and payments and risk management. For specific courses, see here. The conference included panels on marketplace investing vs. You can find out more about the conference here. Furthermore, since the industry is dominated mostly by startups that are headquartered in NYC, we have also been able to organize multiple treks for company visits, as well as regularly source speakers from companies such as Venmo and Orchard Platform. Overall, the introduction of the specialization has signaled to companies that Stern students are not only interested and serious about this industry, but also possess the relevant skillset and knowledge. From the moment I began my MBA, I was told that as a student who was recruiting for the Luxury Retail industry, I would face a slightly different recruiting cycle and process than many of my peers. The schedule is a bit less structured and most companies in the industry typically recruit on an as-needed basis. That said, the exciting opportunities generally present themselves a bit later in the school year. While this can understandably be a cause of stress for some, I appreciated having the facts upfront. It helped me to determine early on that this was a career path I was committed to pursuing, even though it would certainly require me to be patient and a little more creative with my job-hunting strategy. Club members tirelessly reach out to companies to organize various types of events through which students can gain exposure to companies of interest. Many of these events have led to continued conversations with company employees that ultimately resulted in internships and job offers. The club ensures it is exposing students to a wide array of retailers of varying sizes, growth stages, business models, specializing in different products. Aside from all these formal internal resources though, what has perhaps been most helpful has been my own peer network at Stern. Simply having conversations with friends about my interests has helped lead me to interesting opportunities I would otherwise not have been aware of. Friends have connected me with other friends or simply passed along job descriptions they come across that they think may be in my wheelhouse. While we are all of course told that our networks will probably be one of the most valuable things we take away from the MBA experience, I think I underestimated just how much I would come to rely on mine. My peers here have proven to be my great asset; they provide encouragement, advice, introductions, and go above and beyond to do so. Apart from a pre-departure meeting during the semester, the entire class takes place on location and consists of a balanced blend of classroom learning, corporate visits, and field trips to cultural sites. In the classroom, we learned about current social issues in China and how they have been influenced by geography, history, culture, and politics. We also examined the major opportunities and challenges that firms encounter, from the standpoints of both the foreign multinational companies, who tend to underestimate the costs of doing business in China, and the local Chinese companies, who are rising to compete against these corporate giants in the global market. My personal favorite was a trip to the MTR, the private Hong Kong-based corporation that runs the highly efficient mass transit railway system in Hong Kong and—as we learned during our visit—in other parts of the world as well. The executives also discussed the difficulties they are encountering as they grow their operations, such as meeting customer demands, fighting market competition, and navigating the complications and regulatory webs of foreign places and their governments. Some of these successes and challenges were echoed at the other companies too. Uber invited us to their sleek new office, where we sat in their open kitchen and met with their regional head who began at Uber as their first Hong Kong employee. Their office mascot also proudly bears the logo:. As if the corporate visits were not enlightening enough in themselves, so we could experience aspects of the local culture first-hand, Stern also arranged plenty of Cantonese-style meals and class trips to the Hong Kong Jockey Club and Po Lin Monastery where the Big Buddha statue sits. Additionally, we had time on the weekend to explore on our own, giving us the chance to create even more memories with one another. Indeed, in addition to the satisfaction of visiting Asia for the first time and getting to do something that I wrote about wanting to do in my admissions essay, I feel very fortunate to have been able to learn so much through these unique experiences and to be able to share them with such wonderful classmates. After a 7-week winter break, it feels so good to be back in NYC, to be back at Stern finishing my final semester of business school!!!? Whether it be through our short-term Stern Signature Projects SSP and Doing Business In… DBi programs, or our longer-term semester and half semester exchange programs , there are just a wealth of programs offered abroad. Did you enjoy your time abroad? I also have plans to move back to Hong Kong post-graduation, so it was great to be there, learn the city and create a network while still at school.